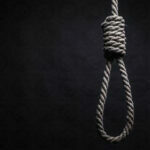 Human Rights Activists News Agency (HRANA) – A prisoner convicted of murder was executed in Iran’s northern city of Tonekabon on September 25th. On the eve of his execution, the Iranian authorities transferred him to solitary confinement per protocol for prisoners whose execution is imminent. Majid Pili, 41, was from the northern city of Ramsar and had spent three years in Tonekabon Prison. According to a credible source, Pili was convicted of murdering Majid Zabihi. Zabihi’s wife, Zahra Ghorbanpoor, was also arrested for the crime. The judge convicted Pili of murder and Ghorbanpoor of accessory to murder for which she was sentenced to 12 years in prison. Iran’s Supreme Court confirmed Pili’s death sentence earlier this year. According to registered data from 2,945 reports by the Statistics, Publications, and Achievements Division of HRAI, in the past year (from March 21, 2017, to March 18, 2018) at least 322 citizens were executed and 236 others were sentenced to death in Iran. Among these were the execution of four juvenile offenders and 23 public hangings.